Biomimicry is an approach to innovation that seeks sustainable solutions to human challenges by emulating nature’s time-tested patterns and strategies. When developing the GreenShield finish the GreenShield Company turned to nature for inspiration (as evolution is a terrific engineer). In the natural world many biological surfaces are hydrophobic because of their complicated composition and surface microstructures. 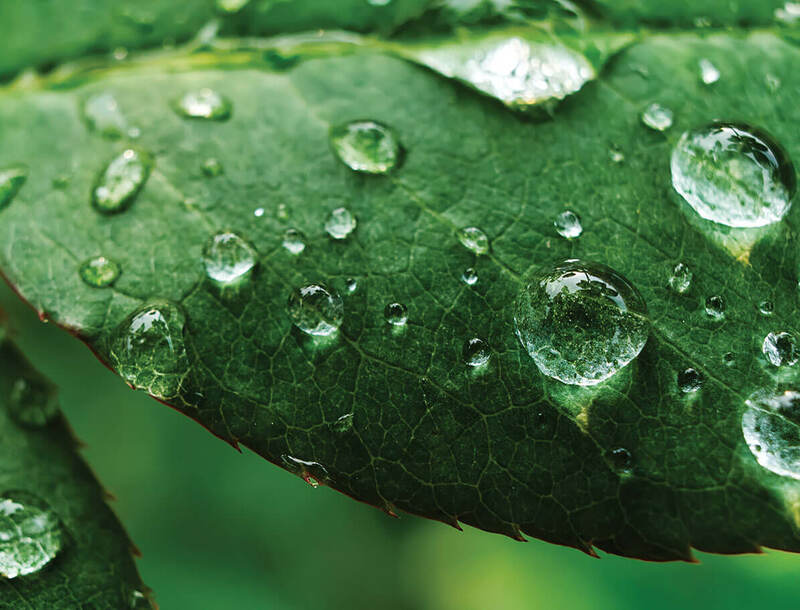 This microscopic roughness, such as that on the leaves of many plants, was one of the inspirations that led to the development of the GreenShield finish oil and water repellents for our green fabric finish. GreenShield began as a simple yet highly technical question that nature had the answer to: How can we impart an ultrahydrophobic (repels water) surface to fabrics and then have it prove highly oleophobic (repels oils) as well? Nature is full of ultrahydrophobic surfaces; from the leaves of lotus plants, to the wings of butterflies, to beetle carapaces and aphid excretions. In artificially creating and applying such a surface, GreenShield’s scientists had to look to one of nature’s failures: the difficulty in reforesting a recent burn area. During a forest fire, foliage wax will melt into the soil, creating a hydrophobic layer of soil which repels water. Nature’s tragedy was our windfall, and the scientists at The GreenShield Company used this model of granularity and layered deposition when developing the GreenShield finish. The GreenShield finish uses a nontoxic, nonbioaccumulative omniphobic flourocarbon in place of an oil-loving wax, yielding one of the best water-based oil and water repellents in the world.  Since 2009 GreenShield has been in partnership with the Biomimicry Institute. The Biomimcry Institute was founded in 2006 by Janine Benyus and Bryony Schwan to share nature’s design lessons with the people who design and make our world. It is based on not what we can extract from the natural world, but what we can learn from it. The core idea is that nature has already solved many of the problems that we are searching for, such as water and stain repellency. 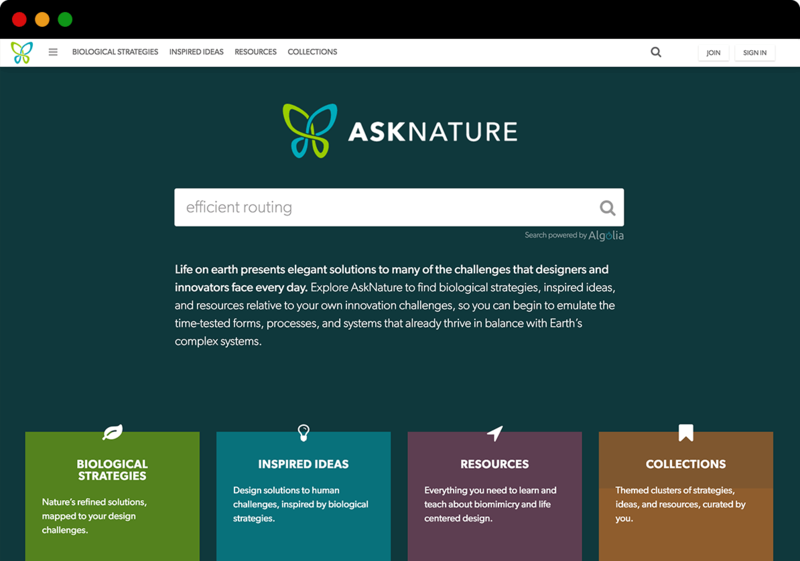 AskNature was created and launched by the Biomimicry Institute in 2008, and is a website that seeks to inspire designers, architects, business strategists and other innovators with biological information relevant to their service or product design challenges. GreenShield is proud to be featured on the AskNature website, a free on-line catalog of nature’s solutions to design challenges. By choosing GreenShield, you choose to reduce the use of harmful chemicals impacting the environment and human health, increase recyclability and promote sustainability – it’s the right choice to make. © 2019 GreenShield Finish. All rights reserved.